Christopher Leslie has been forging steel since 2004. Since discovering his passion, he has worked in blacksmith shops and metal casting studios while maintaining his own business and studio. His finger prints can be found on metalwork all over the Midwest: architectural restorations in Madison, WI; public art in Duluth, MN; cast metal renovations on The Magnificent Mile in Chicago, IL; and custom pieces in homes and corporate offices throughout Milwaukee, WI. Currently, Chris is establishing himself in Chicago as the premier ironwork shop for high-end, unique metalwork. 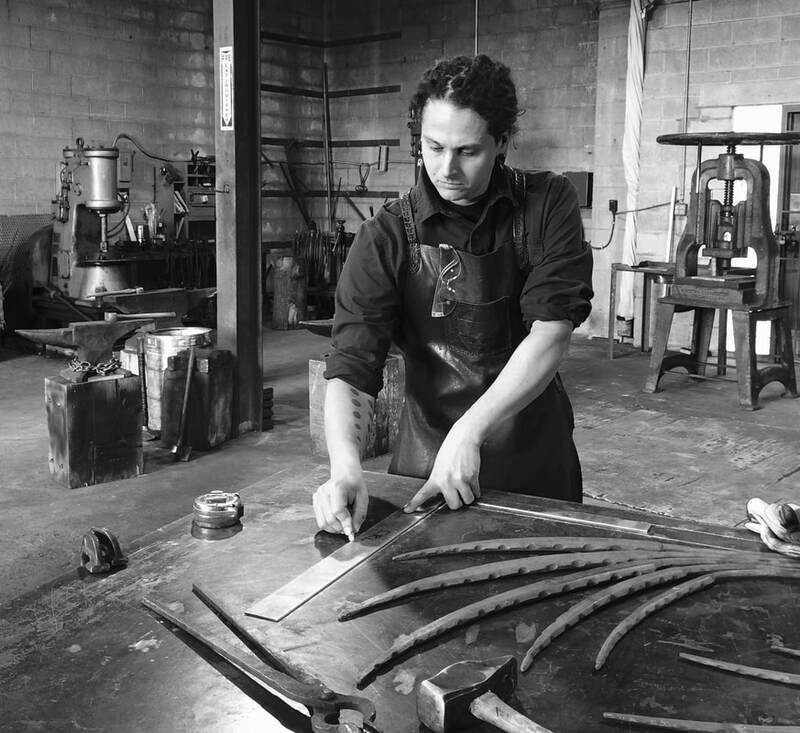 Chris’s metal work is inspired by his surroundings, historical design and architecture, as well as forms from nature. He is an accomplished tool maker and innovative problem solver with experience managing a variety of projects. His biggest thrill comes from building a unique piece with bronze or brass. Chris approaches each project with the goal of changing the cold and static properties of metal into a warm and inviting piece that engages with its viewer and surroundings.